Peltor H10A Optime 105 Earmuff - Is It Better Than Bilsom T3? Peltor H10A Optime 105 Earmuff – Is It Better Than Bilsom T3? 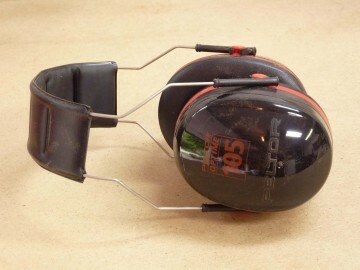 Home/Tools/Peltor H10A Optime 105 Earmuff – Is It Better Than Bilsom T3? Earmuff is a gadget designed to cover a person’s ears for protection. It comprises plastic or metal head-band that fits over the top of the head and a pad at each end to cover both the ears. Thermal earmuffs are worn in cold conditions to keep a person’s ears warm. Acoustic earmuffs are cups lined with sound-absorbing material and appear like headphones. They protect the ears from deafening sounds. They may be fixed to a head-band or clipped onto the sides of a helmet or hard-hat for use on construction sites. Peltor and Bilsom are among the top brands of earmuffs in the market. No review of Peltor H10A Optime 105 would be complete without comparing it with Bilsom Thunder T3. The Bilsom Thunder T3 is a well-designed and perfectly made head phone or ear protection equipment available in the market today, the other equivalent set being the Peltor H10A. The over-head part on the T3 is better built than the Peltor’s. Once fixed over the head, it does not shift from its position. The Peltor’s over-the -head unit is made of wire and can be moved from its position easily. In view of this, Peltor’s headsets are more suitable for people employed at work-sites, where many people working in different shifts will be using the same headset. Peltor’s headset can be adjusted by simply sliding the wire. The T3 model is more suitable for a single user. Once fixed on the head it is tight and cannot be loosened. Wearing a T3 headset for long hours may therefore be uncomfortable, whereas the Peltor H10A makes people more at ease as it can be easily adjusted whenever required. People required to wear an earmuff for a prolonged period may prefer Peltor H10A to Bilsom T3, though T3 plugs the sound better than any Peltor model. The sizes of ear cups of both Peltor H10A and Bilsom T3 earmuffs are much bigger than many lower quality models that are less effective in protecting ears from noises. Most people use U-shaped cervical ‘neck pillow’ to avoid bending to one side when they sleep on a plane. There is no need for this type of pillow with a high-quality bigger size noise protection earmuff. Both H10A and T3 earmuffs are capable of keeping the head straight without bending sideways especially when dozing on a plane. This is one of the major advantages with these two models and there is no need to spend money on ‘noise cancellation’ headsets that are six times more expensive than these two models. Moreover, there is also an additional expenditure on batteries for charging. Both Peltor H10A and Bilsom T3 are excellent for air travel, though the ear cups on Bilsom T3 are somewhat broader than Peltor H10A. However, neither earmuff is suitable for wearing around the neck when they are not in use. This is because the ear cups are very big and may hurt the chin. If someone wants to wear and remove headset frequently, like people do with a rifle, it is better to opt for lower version ‘shooter’ type headsets, which are much broader. In terms of weight all the models weigh the same. Bilsom T3 is much superior in protecting the ears from deafening sounds and its quality of construction is also superior as compared to even expensive Peltor models. The wiring on the overhead portion in Peltor H10A can get elongated or bent, whereas in case of T3 this does not happen. For a size of a head of 7 ¾ and above, the H10A is more suitable. The wire on Peltor can be bent or adjusted according to the dimensions of the head much better than Bilsom T3. The idea behind comparing the two models is to facilitate a person in choosing the correct of earmuff in line with his individual requirements. If you are thinking of getting the Peltor H10A Optime 105 as ear protection from loud and deafening sound when you are working in your garage, click on the button to the right to make your order from Amazon.com and have it shipped to your home right now.